Australian producer/DJ Dirty South is making his return to New York to cap off the year with a performance at Pacha NYC. On Sunday, December 27, Dragan Roganović—better known as Dirty South—will dominate the main floor of Pacha, just as the iconic Manhattan hotspot celebrates its 10th anniversary. With album releases in 2013 (Speed of Life) and 2014 (With You), Dirty South is sure to sample tunes in late December from his extensive discography, which is full of solo productions, collaborations, remixes. Familiar hits from Dirty South include “City Of Dreams” with Alesso & Ruben Haze, “How Soon Is Now” with David Guetta, Sebastian Ingrosso & Julie McKnight, “Phazing” ft. Rudy, and “Open Your Heart” with Axwell, among a slew of others. The Nocturnal Times has partnered with Pacha NYC to offer one lucky partygoer a chance to enjoy the night in style by winning 2 free VIP tickets for Dirty South. *Contest ends Sat., Dec 26 at 7 pm EST. Winner will be notified by email immediately following the contest deadline. All entrants must be 21+ to receive VIP tickets. 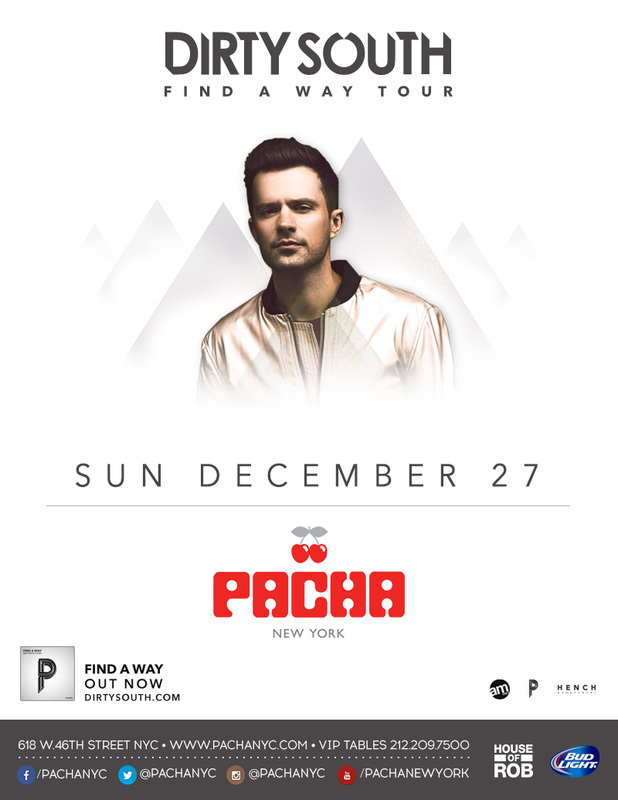 Tickets for Dirty South at Pacha NYC on Sunday, December 27 are available HERE.